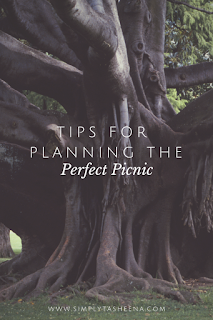 I am a huge fan of picnics I think it’s such an affordable date night idea for any couple. It doesn’t require a lot of time and it also doesn’t require a lot of money. You can go from having a budget-friendly picnic to a luxury picnic it really is up to you. Last year one of my goals was to at least have one picnic with the Mr. in the Rosegarden at least once a month. It’s such a great way to just be in the moment and enjoy each other‘s company. For some people when I hear the word picnic they get super stressed out and they really don’t know where or how to start going about planning a picnic, honestly, it really doesn’t take much but your imagination. 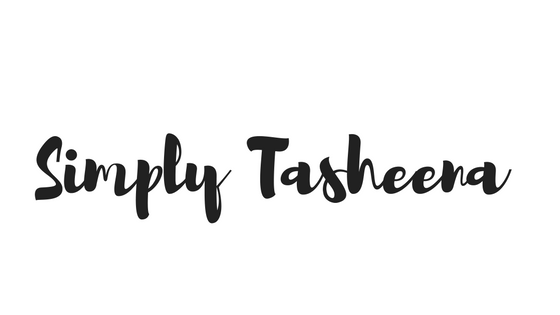 below I’m sharing some tips to create the perfect picnic whether you’re going somewhere with your spouse or your Bestie or deciding to have a picnic in your backyard. What I love about picnics is that you really could have them pretty much anywhere I have several places in my state that I love to visit however even having a picnic in your backyard really is fun as well. So as you’re looking for the perfect spot to have your picnic if you have a hard time finding a perfect location what about your backyard what about a local park what about a local flower a rose garden. Ask around, your friends and coworkers might have a place that they've enjoyed visiting. Food is one of the most important parts of any picnic however this doesn’t have to be a stressful situation. You can easily go to your Local grocery store and pick up the items that you need prior to going to your picnic destinations. There are times where everything is homemade and there are also times where the Mr. and I will pick up a bottle of wine and our favorite Chinese food and go to our favorite destination and enjoy a meal. Don’t feel like you have to create the perfect meal and spend hours in the kitchen, decide on what you would love to have to eat and then work around that. What I love is that about our picnics is that we typically create a budget for them. This is something that you don’t necessarily have to do however we love finding creative ways to have budget-friendly date nights. It’s really amazing we surprise each other each time with how well we're able to stay under budget. Create a budget and a list of the items that you want and need in order to execute the perfect picnic for you and your and spouse or guest. Is also very important to have your essentials like your picnic basket blanket and of course items like hand sanitizer. Make sure that you have your essentials on hand and in a designated spot so if you do decide to go on a picnic on the whim, you know where everything is located at I typically will have a blanket in my trunk in the spring and summer months just in case we decide to go to a local park or beach and have a picnic. Do you have any tips for planning the perfect picnic? It's been ages since we've had a picnic. We should do that one weekend. The flowers are out and pretty in Texas, so there are lots of nice spots. We have a ways to go before it is picnic season here. Sometimes our picnic just consists of peanut butter and jelly sandwiches with some fruit or veggie and a drink. All about have fun and being outside. These are absolutely great tips. We love to go on picnics. We put on the technology and just enjoy our family together. They are so much fun. I'm looking forward to picnic season. It can be part of a fun family day out and means we come back with tired children!!! I would love to plan a family picnic this spring. This is a great start to getting it planned out. As with everything, a planned picnic will be so much more enjoyable. We have not had a picnic in years. I'm going to have to make sure we do one this spring before it gets too hot. Great tips. We have what we call front yard picnics sometimes in the summer. We get our picnic basket out and everything for a picnic close to home! Our area has a lot of great outdoor spaces so we live for picnic season. Having the essentials ready, like a picnic cooler and a nice blanket, makes it so much easier. We haven't gone on a picnic in so long. I think we might have to do this while we are on Spring Break. My husband and I have 40 years of picnics under our belts. We have it down to a science! I think you have broke it down very well. My boyfriend and I love doing picnics! Even if it's simply in our backyard, we always try to make time. Picnics can be very budget friendly or you can definitely splurge if finances allow. They're so versatile! These tips are great! It's been a while since my family had a picnic. I can't wait for warm weather to incorporate these tips. Reading this makes me realize that I don't picnic enough :) These are great tips and the wonderful thing about eating out in the open is the flexibility of the menu. You can dial it up or dial it down and still have a great time. Looking forward to Summer rolling around and going on a couple. Picnics always bring good memories for us. Agree about these points. We try to stick to our budget when we are out. I love picnics. And my younger daughter loves picnics. They are a must during our summers. Thanks for the great tips!